CAGJ invites you to join us on the picket line! The Seattle Boycott Committee and CAGJ are holding an informational picket on Saturday March 12 in support of ​Familias Unidas por la Justicia at PCC Markets in Seattle. 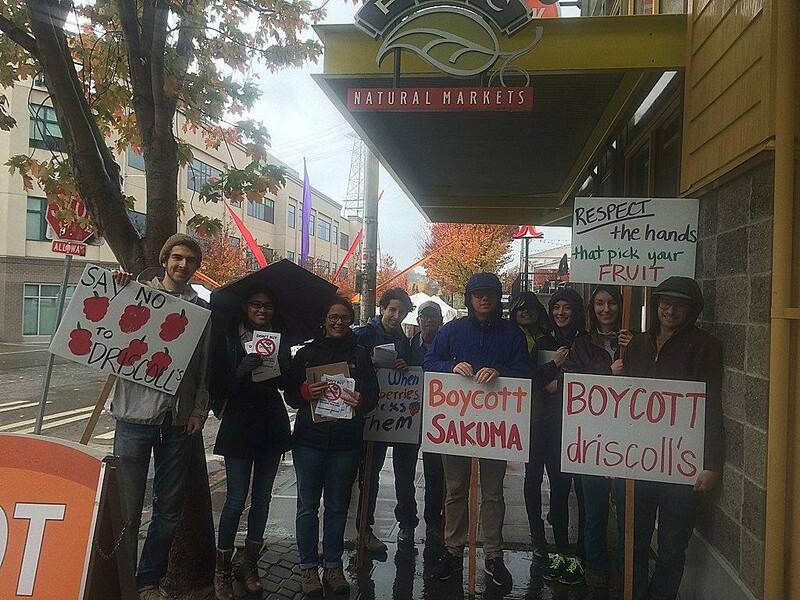 We are continuing to demand that PCC stop carrying Driscoll’s berries until the Sakuma Bros Farms owners sign a contract with the farm workers. No experience necessary with pickets! You will be sharing a flyer with shoppers, who are generally very supportive of this cause. Bring signs if you have them, and weather appropriate clothing as we will be out rain or shine! -Updates and additional info can be found on the Familias Unidas por la Justicia Facebook page. -To learn more about the history of the worker’s struggle at Sakuma Brothers berry farm, check out this blog post and this resource list. -Read PCC’s official stance regarding Driscoll’s berries here.